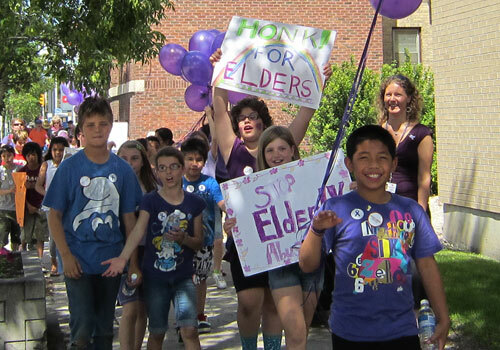 Students from Isaac Brock school met with seniors from the Broadway community at Crossways in Common to watch the Seniors are Cool video and enjoy purple cupcakes. 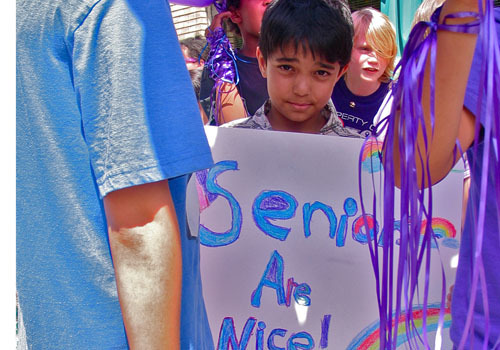 Prior to the walk a small group of students and seniors created two banners to carry during the walk. 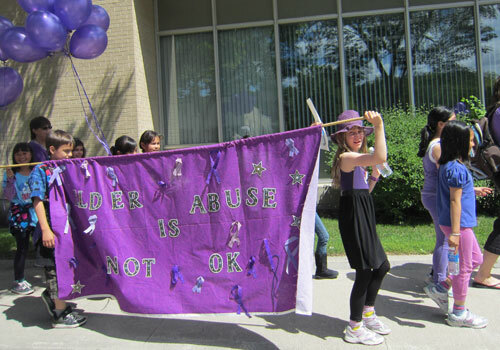 Community seniors, students, teachers, and staff walked together carrying the banners and 50 purple balloons down Sherbrook to the Misericordia Education and Resource Centre. 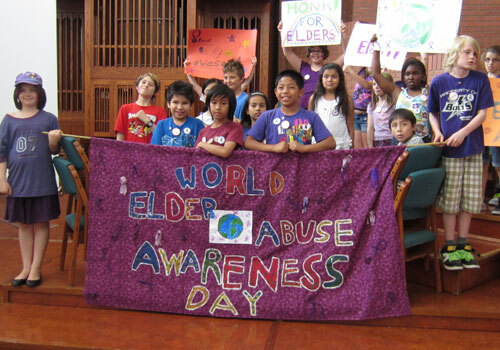 As the parade progressed, staff and teachers handed out WEAAD stickers and children began to chant "Elder Abuse is Not Okay!". Our parade concluded at the Upper Lounge of the Misericordia Education and Resource Centre, where students and seniors gathered in a circle to share stories. This story sharing time was unplanned, but very meaningful. How can you run an event like this? Misericordia Education & Resource Centre & Crossways in Common church. We had two venues available that are located within a block of each other. As a result we thought a walk or parade between the two would be a good way to draw attention and engage the participants & community. It helps that the connecting street between venues is a busy street. Our budget was limited. 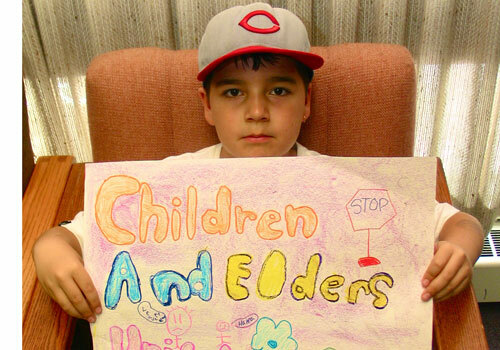 We had hoped to receive a small grant from ACU, however we had put in our request too late. The total cost for the event came to just under $390.00. This covered the cost of hiring a photographer, materials for the banners, balloons, cupcakes and other small odds and ends. These costs were divided up between the three partners, which made the event fairly affordable. Start discussing the event at least a month prior with possible partners. After that the entire planning process involved about two or three weeks prior to the event. 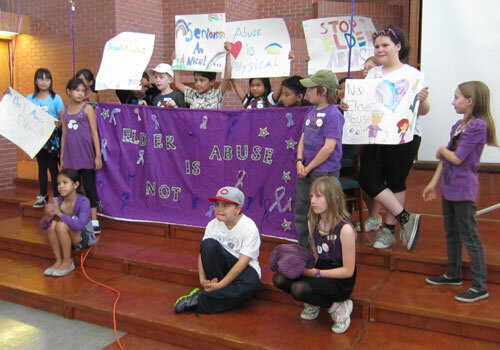 We had three key partners: Isaac Brock School, Broadway Senior Resource Council & West Broadway Community Ministry. 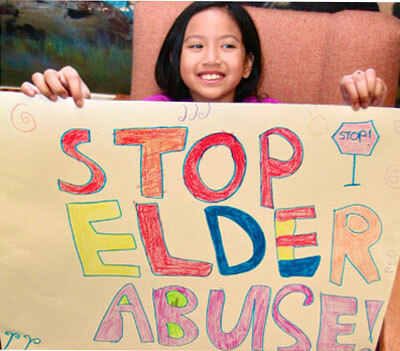 Any partners within your community that work with seniors or in the area of community development. Local elementary or high schools. Inviting local political officials is always a good idea. Sending out a media advisory. 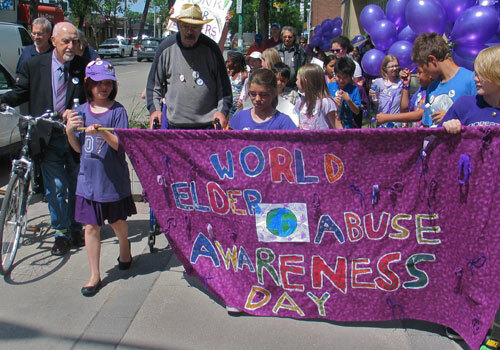 We ordered the ribbon stickers, posters, resource brochures, and the Seniors Are Cool video and It's Not Right presentation from the WEAAD Manitoba website.